Finding first aid training in the Milton Keynes area can be problematic, but not if you contact JMS First Aid Training. Delivering workplace, paediatric and specialist first aid training, the team at JMS provides professional in-house courses for businesses as well as individuals. As first aid experts, we are able to provide not only training but also advice, suitable for all kinds of businesses and organisations. 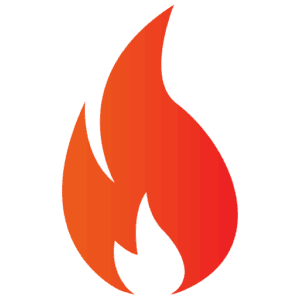 Committed to what we do, we are able to empower both companies and individuals with the confidence and skills to be able to act quickly and correctly during an emergency. 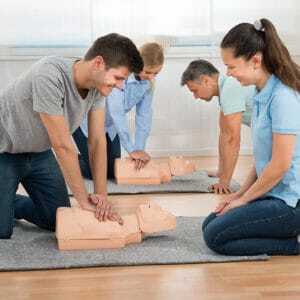 We are highly adept, experienced and knowledgeable, hence we teach first aid training in a way that is engaging, informative and most of all, tailored to suit your needs. Whatever type of business you are and regardless of your individual needs, if you live in the Milton Keynes area, we are the people to call. We also cover South Northamptonshire, Buckinghamshire, Oxfordshire and Warwickshire. Imagine how you would feel if a sudden illness or injury occurred in your presence and you were unable to provide first aid; your ability to react appropriately could prevent the situation from worsening and provide valuable life saving treatment. As a rule employers need to be sure that if an employee is taken ill or has an accident at work, they receive first aid treatment immediately. If they have one person working for them or one hundred, this rule applies in all cases. Staff needs to be able to provide immediate medical assistance to patients, should they become ill or injured. This needs to continue until full medical treatment can be put in place. Whether you are a company looking for us to visit you within the workplace or you prefer to take part in one of our open training courses, get in touch with the team at JMS today. Alternatively, simply click on our ‘Latest Courses’ tab for dates and venues of forthcoming first aid training courses. *PFA training must be renewed every three years and should be relevant for workers caring for young children and where relevant, babies. Let us help you with all of your first aid training needs, whether you are a business, a school/nursery or an individual. Contact us to discuss any of the below courses and to arrange a convenient time and date for us to visit your place of work. We are based just outside Milton Keynes and are happy to travel within the surrounding counties of Buckinghamshire, Northamptonshire, Oxfordshire and Warwickshire. If you’re located further afield we may still be able to bring our first aid training to you – please contact us. JMS First Aid is pleased to confirm that we are approved by Qualifications Network UK (QNUK), a leading Awarding Organisation, to deliver accredited workplace courses that meet with HSE requirements. Let us conveniently train you at your place of work. Our Specialist courses, some of which are accredited, are designed to provide additional and/or specialist skills. From basic life support to anaphlyaxis. We may also able to offer bespoke courses – please contact us to discuss your requirements. This in-house 2 hour guided learning course for GPs and dentists is based on Resuscitation Council guidelines and can be used as evidence towards CPD. Let JMS First Aid visit your surgery to train you at a date and time to work around your busy schedule. Our first aid open courses are available to individuals or groups and are restricted to 12 places per training day. Simply select a course below with a convenient date and venue and book online to secure your placement. Who are JMS First Aid Training? JMS First Aid Training is run by Jan Southam. Jan has been delivering First Aid courses since 2013 having spent her whole career in the medical profession. Her work in the ambulance service, both past and present, enables her to draw on her experience to bring the training to life. 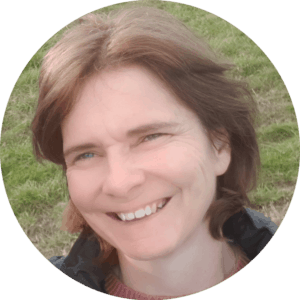 In addition to delivering courses to national blue-chip organisations Jan prides herself on offering a more personal touch to local medical practices, schools, nurseries, farm estates and other businesses. “This is my first course... I am walking away feeling confident... largely due to expertly taught content, thank you!” ‘Fantastic course and thank you Jan, made it so much fun with plenty of energy!" “Over the years I have been on many first aid courses and I have to say this has been the best I have attended." “Jan was Ace! Lots of experience, made me laugh." "Jan's training method, manner knowledge is second to none. I feel fully equipped to take on this role. Excellent trainer." "Would highly recommend to others." "Jan knew a lot about the industry she is in and explained things in great detail." "Very professional trainer, calm, reassuring an excellent teacher, lots of fun but learnt lots!!" "Course ran at school for staff - excellent. Can highly recommend." "By far the most informative and interesting Paediatric First Aid course I have ever been on. Would highly recommend JMS First Aid Training."